The all-new 2017 Harley-Davidson Softail Deluxe is another best bike newly launched by the Harley-Davidson brand. 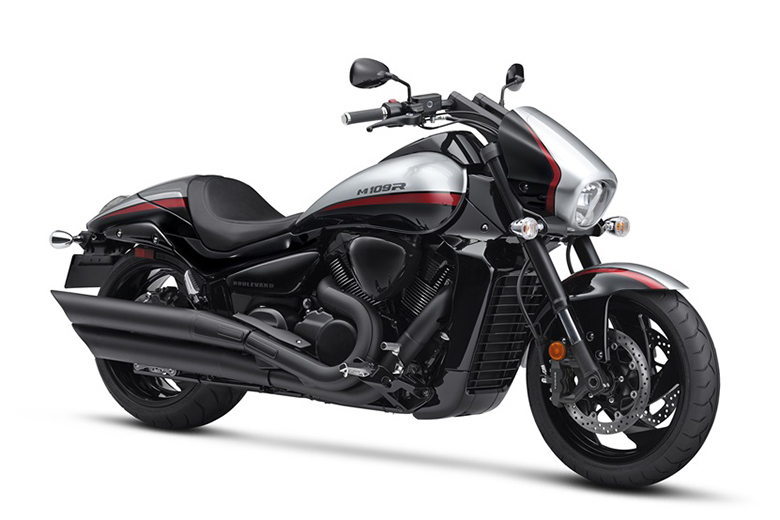 This bike has got the powerful engine with the best technology. The chassis of the bike is incredible and has best graphics on it. The color combination of the motorcycle is mind blowing. 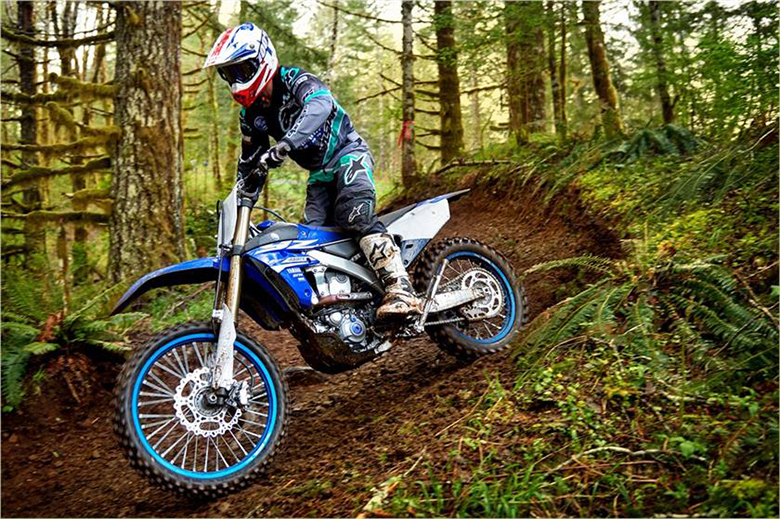 The suspension system of the bike is providing the best performance. It offers maximum comfort for both rider and the passenger during the long ride. The braking system offers superb stopping power. The tires and wheels are providing exceptional performance in all condition of the track. The review of newly launched 2017 Harley-Davidson Softail Deluxe bike with specification and price are written below. The all-new 2017 Harley-Davidson Softail Deluxe comes with the powerful and iconic engine that highlights the legacy of Harley-Davidson brand. 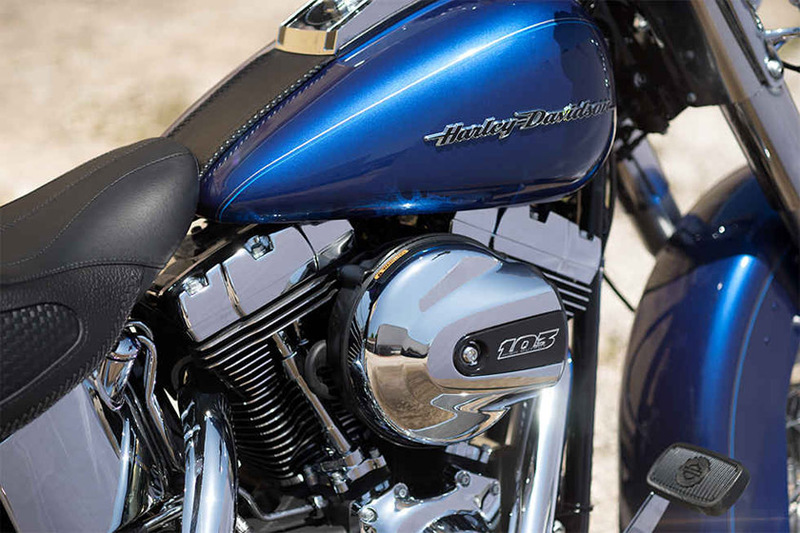 The new engine has the High Output Twin Cam 103B technology that makes every inch of the bike perfect. The engine has the best and unique style that provides the best performance and durability. To give this engine a unique Harley-Davidson style, it has black powder-coated heads and the cylinders that have machined cooling fin tips and the chrome rocker covers. It has the best airbox that increases the intake airflow, and the cam optimizes the phase and duration. It will result in the better low-end torque and the faster 60 to 80 mph 5th gear roll-on. The engine of the new 2017 Harley-Davidson Softail Deluxe has the best lightweight piston design that delivers more and pure power. It has superb driveline and high internal parts with the little maintenance. This bike has got the 6-Speed Cruise Drive transmission that offers smooth, quiet shifting and it reduces the engine speed on the highway as well. 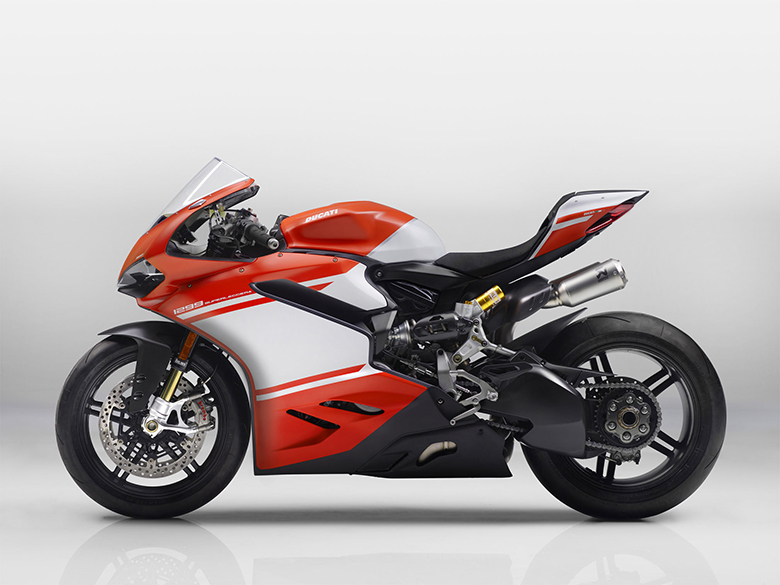 So the rider will get the best match between the engine turnover and the road speed. The all-new 2017 Harley-Davidson Softail Deluxe bike comes with the best and superb style. This bike has the new and tank and the front fender that gives a charming look. They have the zinc cast with the streamlined deco design, which is loaded with the paint to create a ‘hologram’ effect. 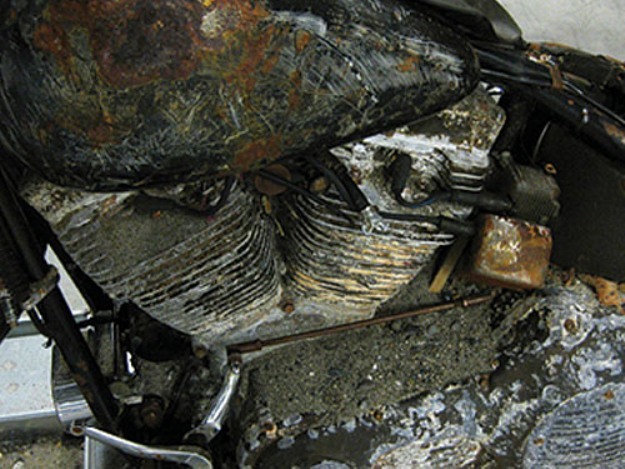 The bike has the large metal flake finish that’s more than just a paint job. 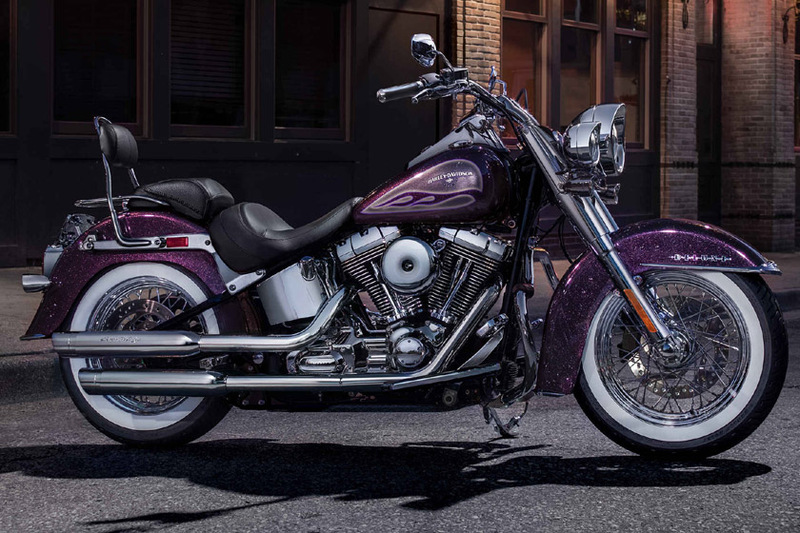 This bike is available in HandCandy Mystic Purple Flake. The bike has got the best silver base and the best pattern and applies the Candy color to allow the flake to shine through. Then there is a clearer and hand striping to the smooth deep finish. It’s the painstaking process that delivers the premium custom look straight from the factory. 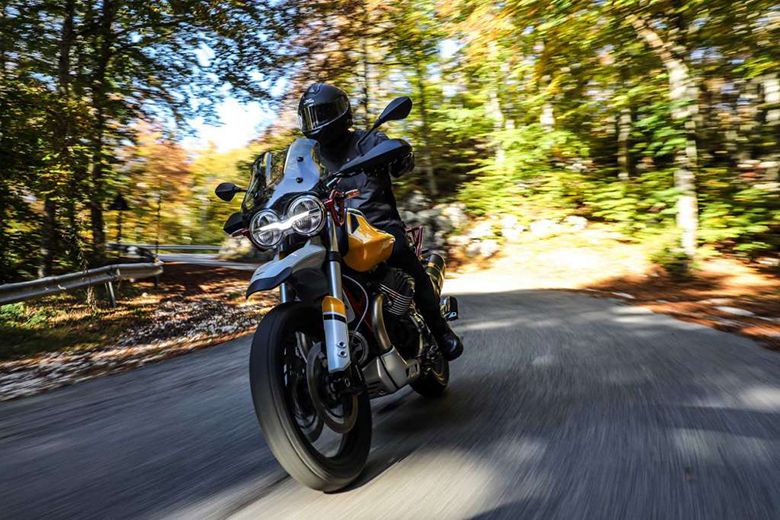 It has the big, bold speedometer and the odometer display along the ancillary display for gear and rpm that offer all the information rider need to fly. 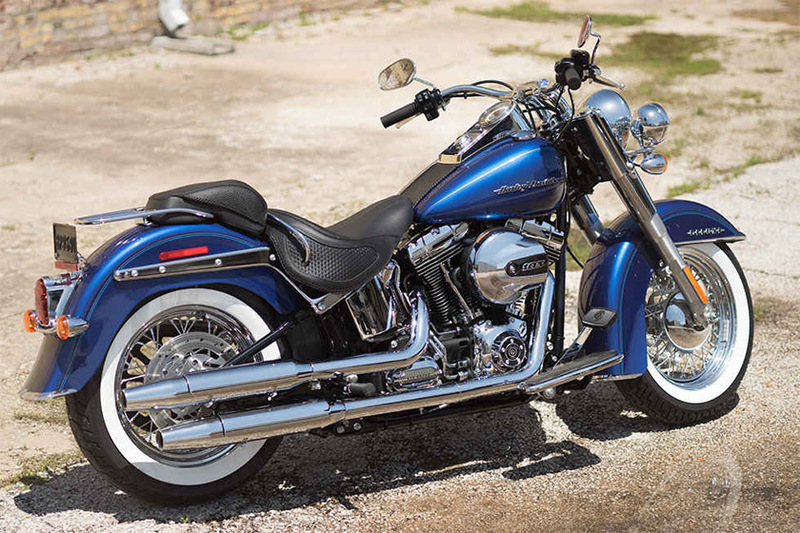 The new 2017 Harley-Davidson Softail Deluxe has the distinctive lines and the cruising profile. The bike has the tasty chrome, and the back fender tips tapered chrome struts in the rear and the big canvas for the custom paints. It has got all new stylish features with the nostalgic wide whitewall tires with the premium laced wheels. These tires have the rubber rollers with the true throwback details from the Harley-Davidson from ups the ante in any scene. 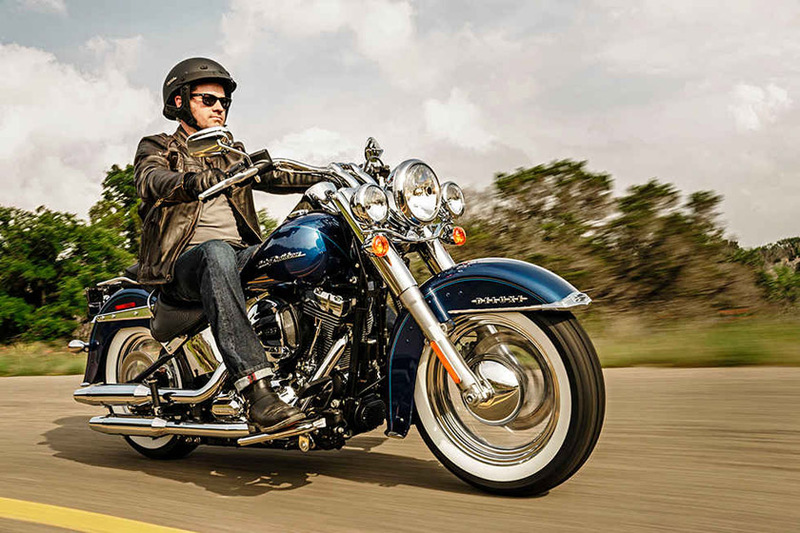 The bike provides the total old school styling without sacrificing control or handling. 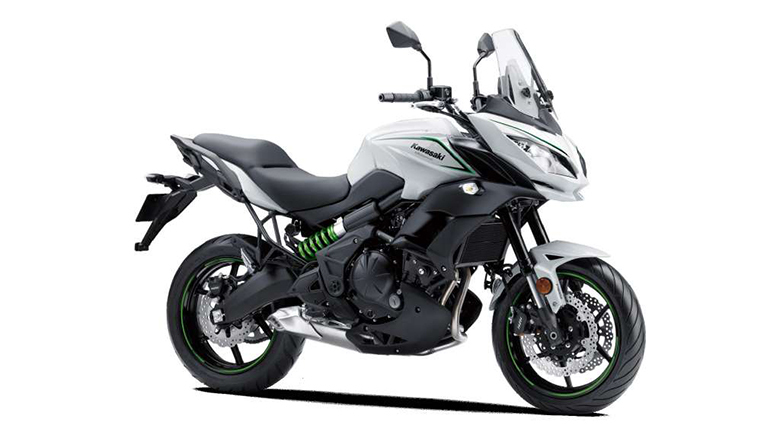 The bike has the snaking directly off the back of the passenger pillion; the single luggage rack is the perfect marriage of form and function. It has got minimal in design but is extremely useful on the road; it can hold the precious small carry along the gleam of chrome from the good measure. It has the new and best headlights of 7 inch. 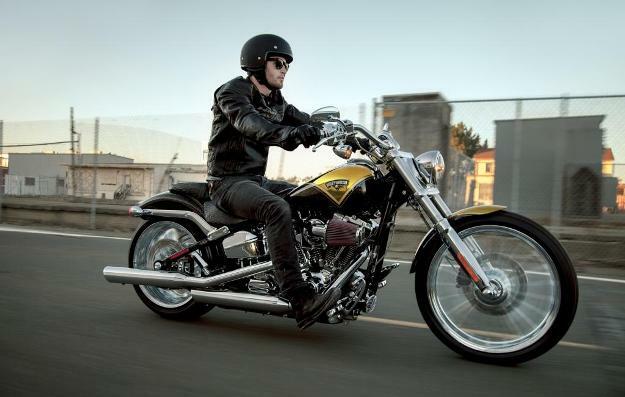 The handlebars of the bike are thick stainless steel with the chrome pullback that rises for easy reaching. It has the old-school style that is still fat and formidable up front. 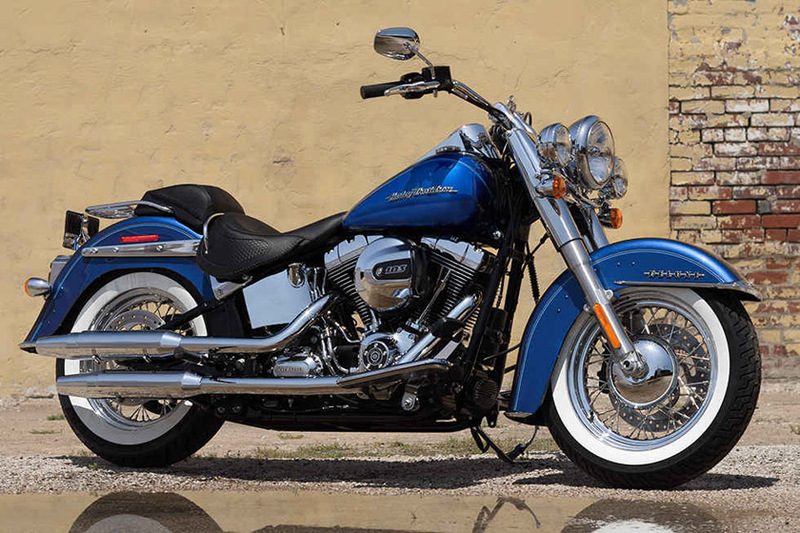 It has chrome, low profile taillight that highlights the pure Harley-Davidson style. It has got the best sleek silver bullet turn signals that glow red. It has got the best and firm suspension which is not only stylish but offers maximum comfort as well. The bike has the classic lines of the vintage “hardtail” frame with the horizontal rear shocks that are hidden in the guts. The all-new 2017 Harley-Davidson Softail Deluxe comes with the best handling and superb handling. The front end has the best premium touring tires with the three-ply polyester casing and the two fiberglass belts. The bike has the back cruise tires that have an advanced tread pattern. It delivers the excellent grip in wet and dry condition. The quality of the rubber is mind blowing. 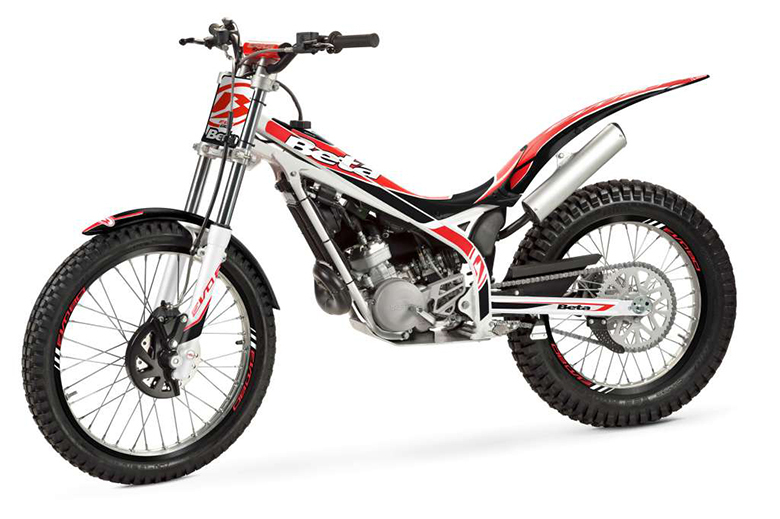 The front brake system provides the 40 percent of the reduction of lever force which is required at the peak braking. The handlebar and the front cylinder have been restyled. It has the 4 pistons fixed caliper with the 32 and 34 mm of cylinder, premium caliper piston coating to minimize initial displacement and the large rotor of 300 mm. All these features will adds up to more stopping power with the less effort. This new 2017 Harley-Davidson Softail Deluxe bike comes with the electronic throttle control as the standard. There is a switch so that rider can easily dial the speed with his left thumb. 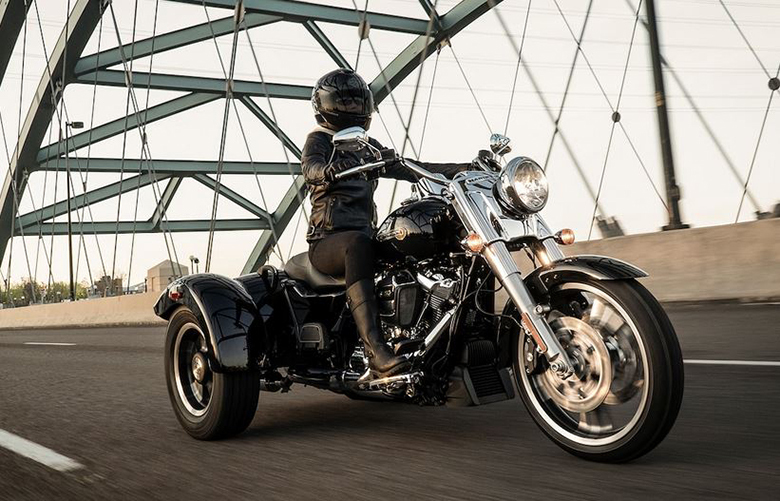 The new 2017 Harley-Davidson Softail Deluxe is best known for its comfort and excellent ergonomics. The handlebar offers confidence-inspiring easy-reach ergonomics for the new and inexperienced rider. The bike has the perfect ergonomics that provides minimum drag. It has the best two-up seat with the seat height of 24.5 inches. The seat has the narrow profile, and the passenger seat pillion is removable. Just remove it to enjoy the single ride. So leave it on and enjoy the ride with someone close to you. 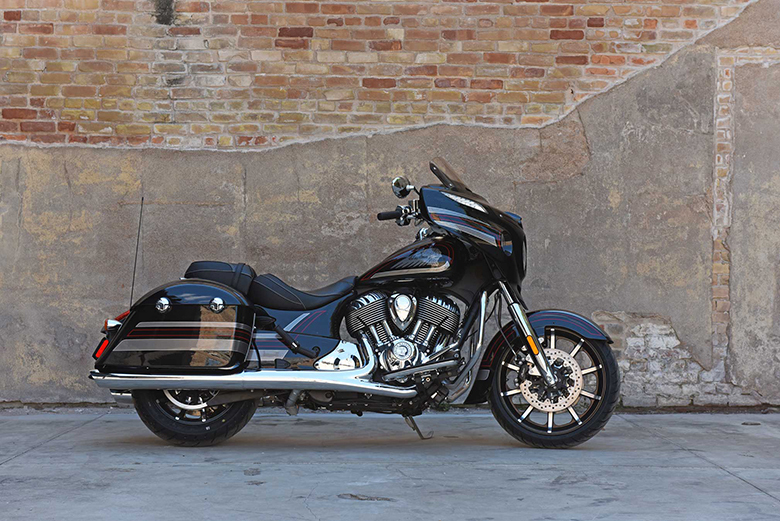 It has gone the full-length footboards that boast the tires and has the exact design that highlights the legacy of Harley-Davidson Brand. These footboards offer plenty of foot position to the rider to have the comfortable ride. This footboard also has the rubber vibration isolation for the comfortable ride. The all-new Harley-Davidson 2017 Softail Deluxe comes with the price of $18,549. The all-new 2017 Harley-Davidson Softail Deluxe bike comes with the number of features that makes this bike excellent. The performance of the engine is best. The chassis of the motorcycle has outstanding graphics and is durable. The braking and suspension system is working incredibly. The seat offers maximum comfort for the long ride. The passenger seat offers maximum comfort and is durable as well. The luggage pack gives some room to keep some important and necessary thin in it. So don’t forget to purchase the new 2017 Harley-Davidson Softail Deluxe bike and leave your comments here.